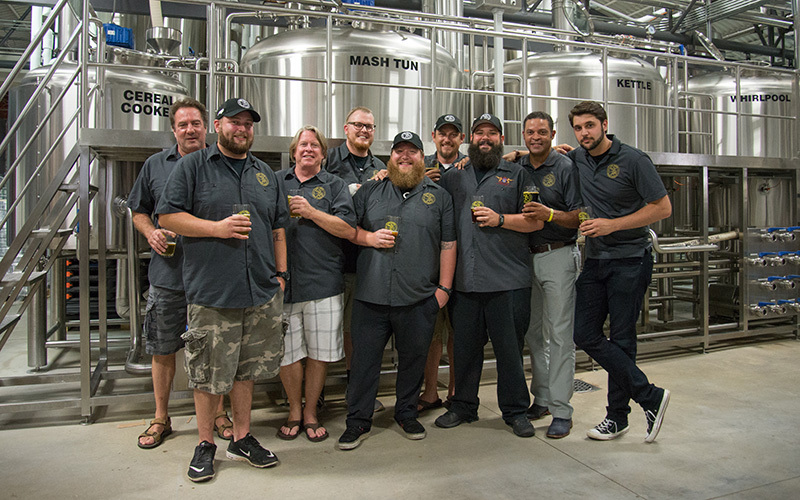 These are the folks who brew your beer. We’ve got a range of diverse backgrounds. The one thing we all have in common? A deep love and knowledge of craft beer. That and seeing people trip. We know it’s mean, but it makes us laugh. We offer free tours every first Saturday of the month (we can possibly accommodate big groups on other days, get in touch and we’ll see what we can do). We have snacks for sale at the bar, and you’ll often find a food truck out front. You can check out our upcoming events, or head over here to see our hours and other good stuff.